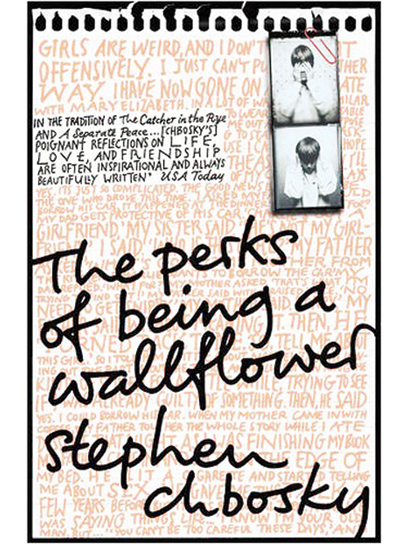 FlutterbyBooks: The Perks Of Being A Wallflower by Stephen Chbosky. This was a very interesting book. It's written from the perspective of a teenage boy. It takes a few pages to get used to the style of writing but much like when I read 'Room' by Emma Donaghue, you quickly get used to it. There are a lot of 'he said', 'she said' sentences but these add to the chatty style of the book. It's only a short book, written in a series of letters. To be honest I never understood who these were too (maybe that's just me) but it didn't stop me enjoying it. 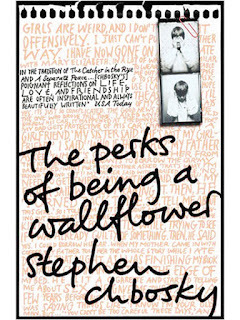 The style of the book was quite refreshing and it was a page-turner. I knew that there has been a film made of this book, and although I haven't watched it, I knew which actors played the characters and could easily visualise them in the book. I would love to watch the film now, I'm really interested to see how the story is interpreted.